Hair transplant forum advocate, Bill Seemiller, helps people all over the world deal with their individual concerns about hair loss. 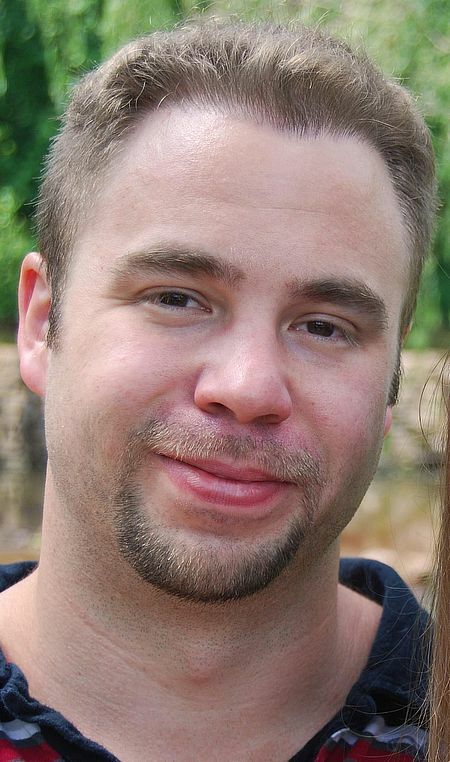 Bill Seemiller, 36, is the Managing Publisher of the Hair Transplant Network, the Hair Loss Learning Center, the Hair Loss Q&A Blog and the Hair Restoration Forum and Social Network Bill has helped educate and support thousands of hair loss sufferers around the world through his involvement in the hair transplant forum. “I know first-hand how difficult it can be to battle and cope with hair loss. Thus, it makes me happy to support and provide others with the necessary tools to find solutions that best suit them,” said Bill. Hiding your hair loss under hats? Click here. Before, Bill had a receding hairline and thinning on the crown. After, Bill had a successful fourth hair transplant procedure to create this natural and denser result. We asked Bill why having hair is so important. “Hair is as important as someone makes it out to be. In reality, hair does not make the man (or woman). However, hair loss can have a deep psychological impact on many who experience it. It certainly had an effect on me and restoring it stopped me from always obsessing about my hair. I never thought I’d be so happy to have a bad hair day,” replied Bill. Is hair loss affecting your relationships? Click here. Does a hair transplant work? 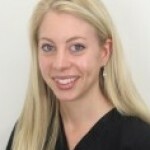 Advances in modern technology, state-of-the art micro-surgical techniques, and scientific breakthroughs have made hair restoration an option for both men and women. It can be life-changing. “Hair transplants, when done right, can be so natural looking that even hair stylists can’t detect them. As a patient I have had some interesting conversations with friends and family regarding their view on hair transplantation. Those I tell about my own journey and transplanted hair often have a hard time believing me because of how natural it looks,” said Bill. 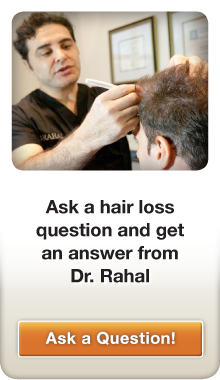 Dr. Rahal is labeled by patients as the “King of Hairlines” in online reviews. Bill explains, “Dr. Rahal’s ability to create highly refined natural looking hairlines has always impressed me. How do you select the best hair transplant doctor? 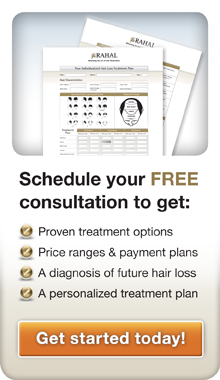 Looking for a hair transplant doctor? Click here. Bill adds, “I would personally recommend hair transplant surgery by a qualified surgeon as a possible option to anyone whose life has somehow been negatively affected by hair loss.” To see the advanced criteria used to recommend surgeons on the hair restoration social network visit the physician selection standards page. 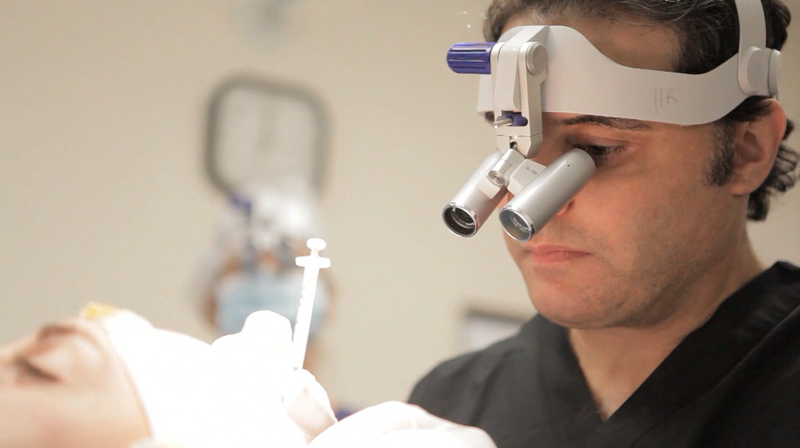 Dr. Rahal employs cutting-edge, state-of-the-art techniques when performing a hair transplant. “Dr. Rahal’s ability to create highly refined natural looking hairlines has always impressed me. I’ve seen dozens of examples of Dr. Rahal’s results. I’ve also seen some very impressive results of his in person,” said Bill. Why did you get involved in the hair loss industry? Need hair loss advice? Schedule your appointment now. Bill underwent four hair transplant procedures and just over 9600 grafts in a five year span. “This restored not only a large portion of my hair but my lost confidence as well,” said Bill. 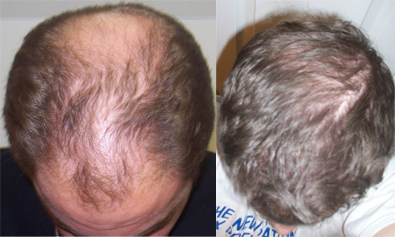 You can view more before and after hair transplant photographs of Bill on his hair loss website. Get your confidence back through hair. Click here. Have you ever been touched by someone’s hair loss story? Why are online forums important? Hair loss forums enable an international audience to share and exchange ideas, and discuss treatments that have and haven’t worked for them. “Hair loss discussion forums not only provide balding men and women worldwide with the support they need, but they are a potential consumer’s best resource to learn what really works before undergoing any treatment,” said Bill. Looking for a hair loss treatment? Click here. What are the main obstacles faced in forums? There is a great deal of misleading and confusing junk online concerning hair loss. Men and women fighting thinning hair come to the hair loss forums to get real information, direction, and support. “Our primary mission is to provide hair loss suffering men and women with the necessary tools to find support, treatments, and quality physicians,” said Bill. Are you ashamed of your hair loss? Talk to an expert. What are your future goals in the hair loss industry? Bill has built his profession on the hope of changing the way we experience hair loss, and the way society treats hair loss sufferers. To contact Bill directly, you can email him at: help@hairtransplantnetwork.com. It’s important that you know you are not alone. Did Bradley Cooper Have a Hair Transplant?